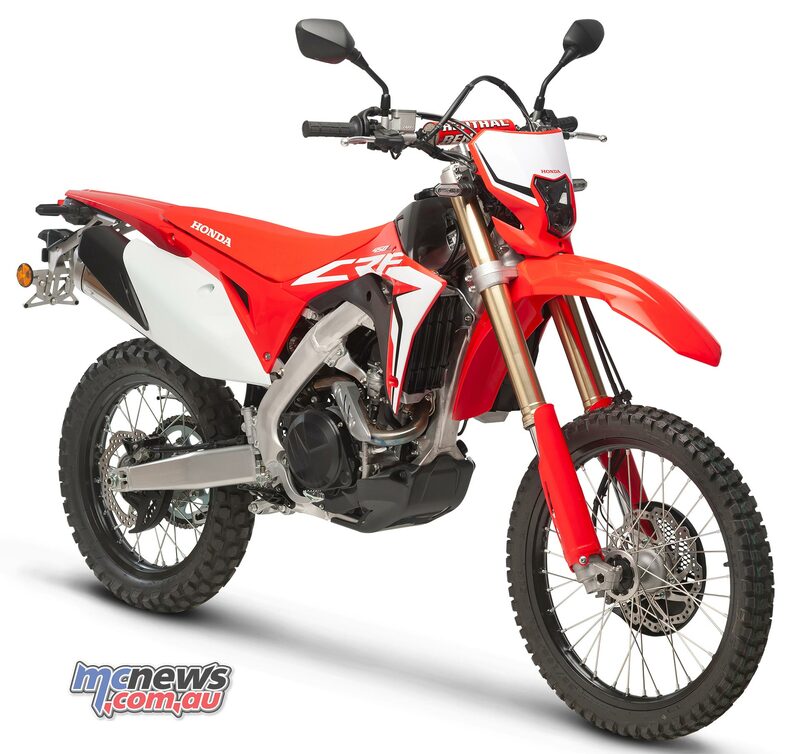 Honda’s new CRF450L is a street-legal dirtbike offering their trademark reliability, refinement and quality, along with the handling and power of a serious off-road machine. This new enduro/adventure machine will be available shortly in dealerships for an MLP of $12,999. 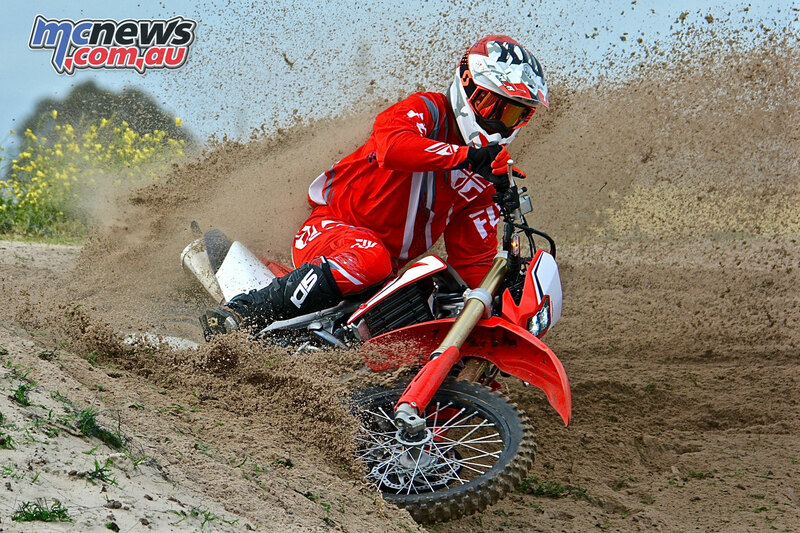 From this coming Sunday (23 September), Honda will be at Queensland Moto Park with a fleet of brand-new, much anticipated CRF450Ls available for test rides. This will be the first of five official Honda appearances to take place around Australia. 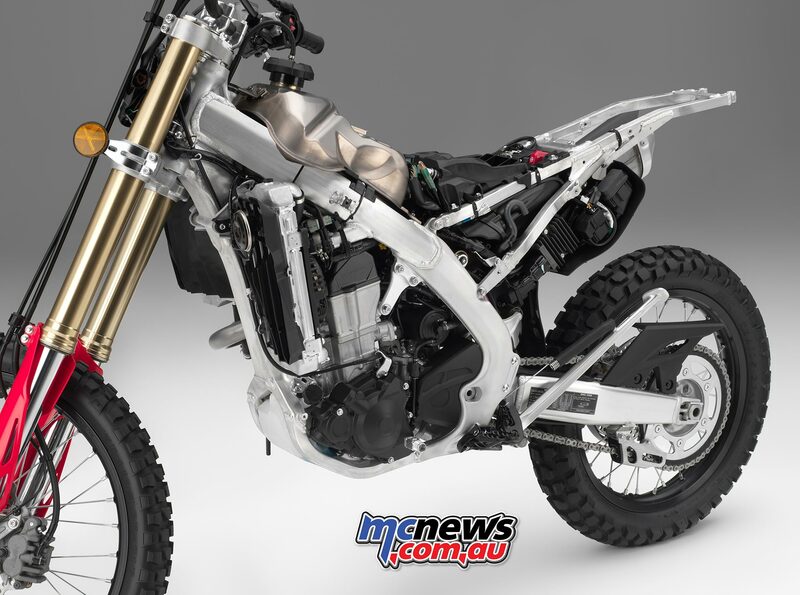 The bike features a powerful fuel-injected 449cc Unicam engine, twin-spar aluminium CRF chassis, six-speed transmission and premium suspension. The Unicam configuration contributes to a compact engine that saves weight over a comparable dual-overhead-camshaft motor and permits a narrow included valve angle. This flattens the combustion chamber to facilitate ignition flame propagation, allowing a high compression ratio. Since less space is taken up in the cylinder head, the camshaft sits lower in the head for a more compact engine and a lower centre of gravity. 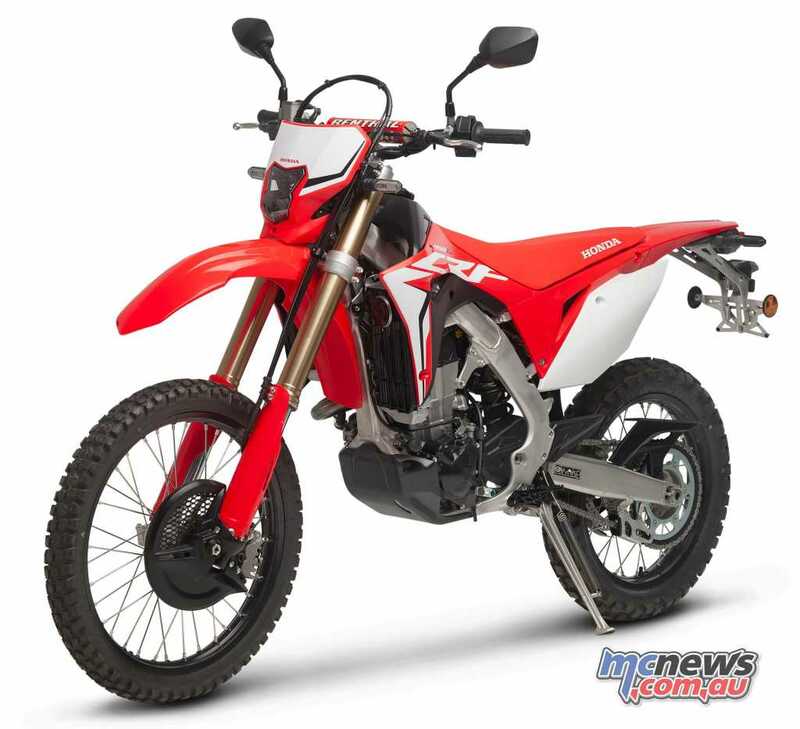 The CRF450L is fully street legal, meaning it can be ridden wherever it’s legal to operate a motor vehicle. 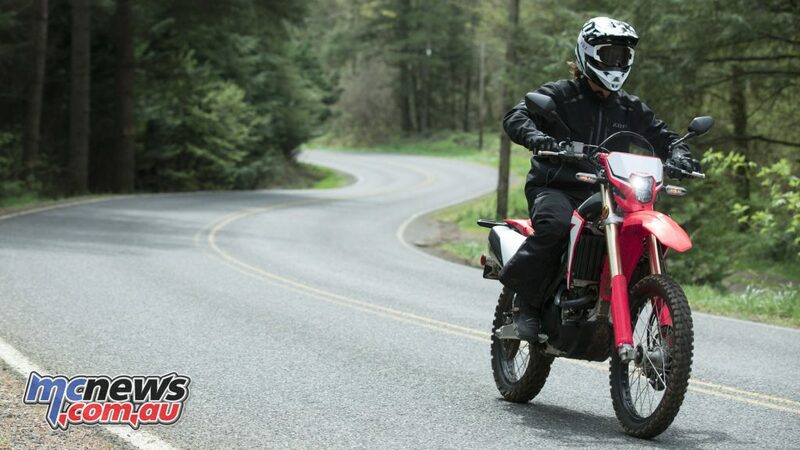 You don’t need to tow the CRF450L anywhere, you can just ride it there. 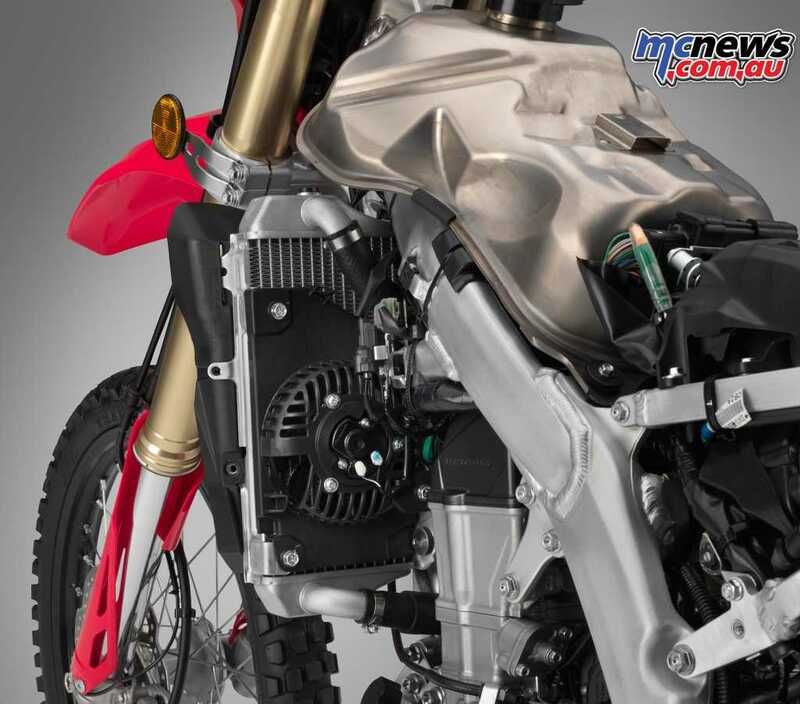 For riders that put performance above all else, there are race tuning parts available to fully unleash the potential of the CRF450L. Electric start ensures trouble-free starting in all conditions and drives the clutch side of the crankshaft to provide superior lubrication to starter gears while producing a narrow engine with a short, strong crank. 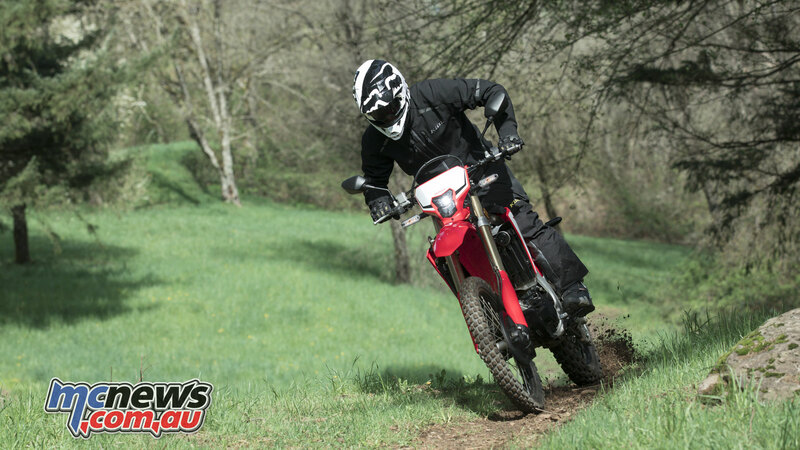 The CRF450L has a six-speed gearbox that gives riders a low gear perfect for tight, slow situations and a top gear that’s tall enough for highway riding. The CRF450L’s crank has 13 per cent more inertia than the CRF450R, to smooth out power delivery and make the engine more user-friendly in tight, technical situations. The final-drive sprocket damper is designed to keep your bike quieter while not adding any weight. The addition of a lithium Ion battery also saves weight. 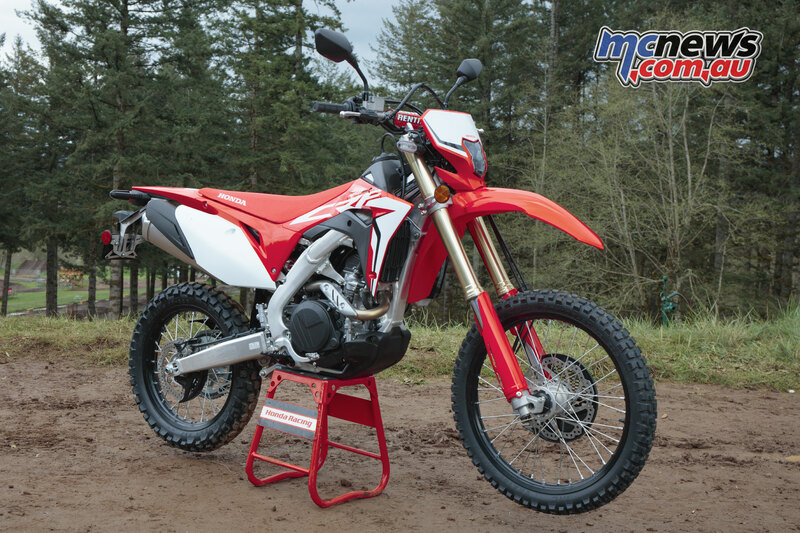 A “ride anywhere” type of bike needs to be able to handle a wide variety of riding conditions; so the CRF450L is equipped with a light electric fan for the radiator. Rock crawling or riding on a hot single-track, it helps keep your engine running cool. 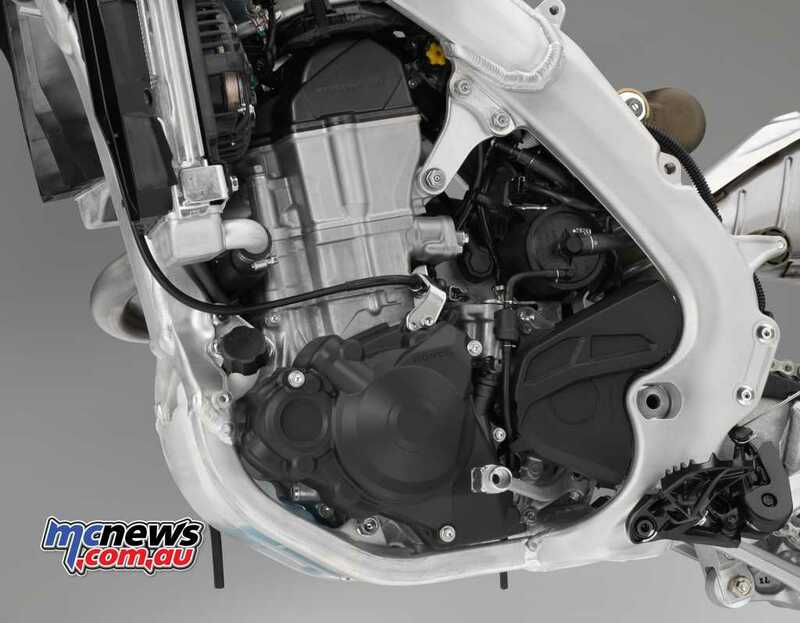 The fuel tank is made from lightweight titanium, as is the intake and exhaust valves, which permits the use of smaller valve springs, reducing overall engine height. 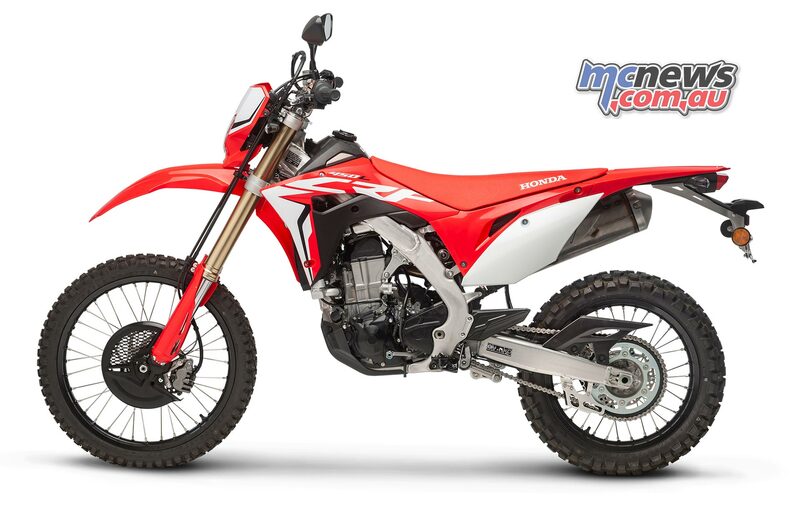 The CRF450L features an all-LED lighting package, including the headlight, taking a lot of weight off the front end and the lighting pattern is also specially designed for both on- and off-road situations. The LED taillight is integrated into the rear fender. It’s light, compact and rigid. The twin-spar aluminium frame is both light and stiff, and provides the basis for the CRF450L’s excellent handling. The chassis geometry is specially selected for responsiveness and also is wider. They may not help you go faster, but the black rims sure look good and the forged alloy side stand is a well thought out addition to the bike. Customers will get the opportunity to meet Penrite Honda Racing’s Brett Metcalfe who will be at the QLD and VIC tracks, and Justin Brayton and Bradley Taft will both be at the QLD and VIC tracks between their busy Australian Supercross schedules. 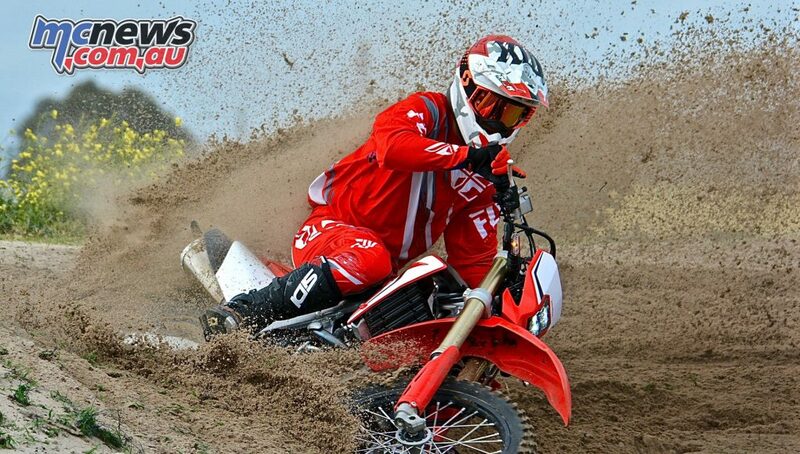 Penrite Honda Desert team rider, Jacob Smith will be at the NSW track as well! Each MX venue charges an entry fee for riders, which will cover rider insurance during their time at the track. 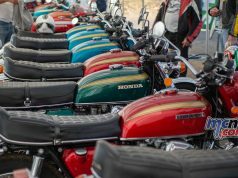 Riders are encouraged to bring their own bike to take advantage of the venue, while coming to have a test ride! NOTE: At each event, patrons will need to cover their own entry fee to the track; each venue charges for entry and this fee will cover riders insurance. Patrons wanting to take part in the test ride will have to sign a Honda waiver form as well and need to meet riding criteria: must be a competent rider and bring their own full body cover, full MX riding gear including helmet, gloves etc. Staff on the day reserve the right to refuse riders if they are not in the correct riding gear or appear under the influence.